I recently had the wonderful opportunity of conducting a telephone interview with one of the important but often overlooked contributors to the Silver Age, Mr. Gaspar Saladino, who did the majority of the lettering for many of our favorite titles and worked closely with other names that we know and love from the era. Gaspar graciously gave me about an hour of his time and I'll share it with you here. He had a couple of tie-ins to the Metal Men, too, which include his designing their logo and his friendship with Ross Andru, whom he mentions in the interview. Enjoy! Prof: You were a fashion illustrator when you started with DC in the 1950s. Did you ever regret the direction you took? Gaspar Saladino: No. The fashion business was headed toward photography, so I had no regrets. Prof: When Carmine Infantino came on as DC's editorial director, you were taken off of interior lettering, and took on the lettering for virtually every cover DC published. This changed the whole line's look, from Ira Schnapp's more sedate style to yours. How did becoming DC's cover letterer affect your approach? GS: It didn't affect my approach, but I enjoyed it much more. It allowed me some artistic expression that the interiors lacked. I had carte blanche with sound effects and placement. There weren't many egos to deal with and it was a very collaborative effort. Prof: What do you think of digital lettering? Ever feel tempted to try it? GS: No. I'm computer ignorant. Prof: The loopy sound effects used in the Batman TV series opened the door for sfx to be bigger and crazier, and you hopped on this trend with a vengeance. Any comments? GS: It didn't really affect my work that much. Prof: Your lettering looks different depending on who penciled a book. At DC, pencillers roughed in all lettering before you ever got at the page. How much of your cues did you take from the penciller? Did your style develop as you translated their roughs into finished lettering? GS: Again, it was all very collaborative. I have some wonderful and warm memories of Ross Andru, Gil Kane, Joe Kubert, Curt Swan and Murphy Anderson, among others and we always seemed to be able to work well together and to come up with a good product that everyone approved. Prof: Your exclamation marks were one of your trademarks, big and bold. Why'd you adopt this style? GS: It was for effect. If they weren't there I'd add them. Prof: Unlike most free-lancers, you actually worked at DC's bullpen. I think you were living in Long Island at the time. Why'd you make the trip to NYC every day instead of working at home? 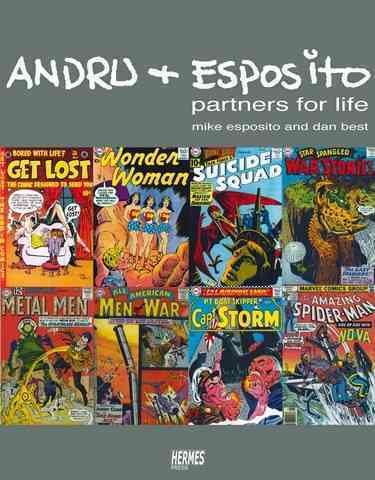 GS: DC wanted a full-time letterer and by being present I got first choice of assignments. I also thought it was beneficial to be able to work hand in hand with the artists. Prof: When you were doing interiors, pencillers used to beg editors to have you do their books. How were these decisions made? Julie Schwartz and Robert Kanigher seemed to have a lock on your services, while George Kashdan and Murray Boltinoff and Jack Schiff hardly ever got to use your work. How'd all this come about? GS: Julie was the final word on how work was doled out and it was often time dependent, as in how hot the deadline was. There were certain "cliques" in the offices and some politics but I never found it to be a problem. Prof: Can you tell me anything about Ira Schnapp, whose work pretty much defined DC's covers and logos for 25 years? GS: "Mr. DC." He was the original letterer on Superman and Green Lantern in the 30's. The titles were done by him and he had his own desk in the production department. 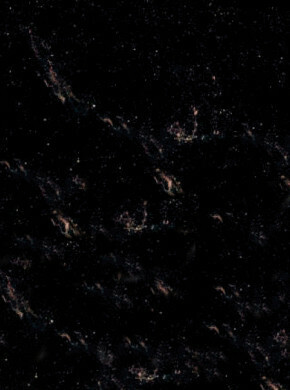 It was sad that when he left it was as though he'd never been there at all. So much of it all came down to business, though. It was to make money. Prof: Wherever the best pencillers were, you were. Who did you enjoy working with most? GS: I worked with a lot of wonderful people, but was especially fond of Gil Kane. I was an usher at his wedding and we lived in the same borough in Brooklyn. Gil could break down a story in 10 minutes for a rough. Alex Toth was the best hand in Julie's stable. He drew quickly and well and was the genius of them all. Prof: Did you use a template for your balloons? They look like they were done freehand. GS: I did not use a template. I liked freehand. Gaspar began on the "Cowboy Romance" books in 1951. Deadlines were about a week for pencils on any story. Bernard Sachs was an inker he really admired. Original art was stored at the DC offices. Once the pieces were produced, the artists no longer had any rights to them. Apparently today the practice is the opposite. The artists get their copy back. Curt Swan was a very pleasant gentleman. On Friday afternoons the writers and artists would gather and the conversations were simply amazing. It was a "good slice on life." Many were war vets and they'd swap war stories. He created the logo for both Swamp Thing and Metal Men among others. 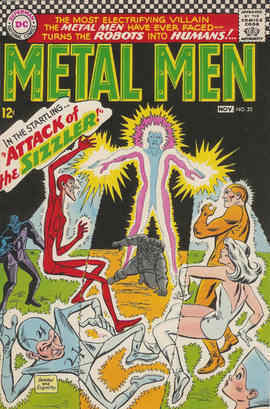 During the conversation I mentioned the way that Metal Men #22, the "Attack of the Sizzler!" issue really leaped out and grabbed you. Gaspar confirmed that covers like the Sizzler did their job: They got attention and sales at the newsstand. He pulled his copy out when we were discussing it. He also did logos for the Vigilante and Eclipse. Irv Novick worked well with Robert Kanigher. Lettering for the foreign issues was done in country. I can't begin to tell you what a gentleman Gaspar was and what a tremendous pleasure it was speaking to him. Through it all he kept trying to make things as easy on me as he could, if you can imagine. Truly a class act.